As mentioned earlier I was most unsatisfied with steaming on the GS/3 with the no-burn wand. Not that it lacks steam power but the steam is wet and you need to purge a lot of water from the wand before steaming and as result I was never able to produce good micro foam. 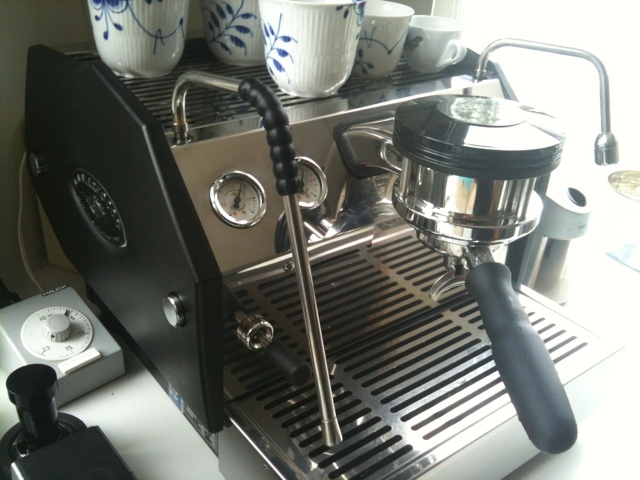 So I went ahead and ordered the newer version "burn-me" wand from the Danish La Marzocco Importer. The wand or rather all the parts came with the mail today. I had to assemble the wand from different parts which was confusing at first as the LM exploded diagram that comes with the parts, is not precise on how to assemble this in "IKEA style". I also managed to install it in the machine using the Chris Coffee Service assembly video on YouTube: http://www.youtube.com/watch?v=QrJ81UG9n_c - Excellent video!! So, has the steaming improved? Most certainly, yes! You still have to purge water from the wand before steaming and whether it's less than before I'm not sure. 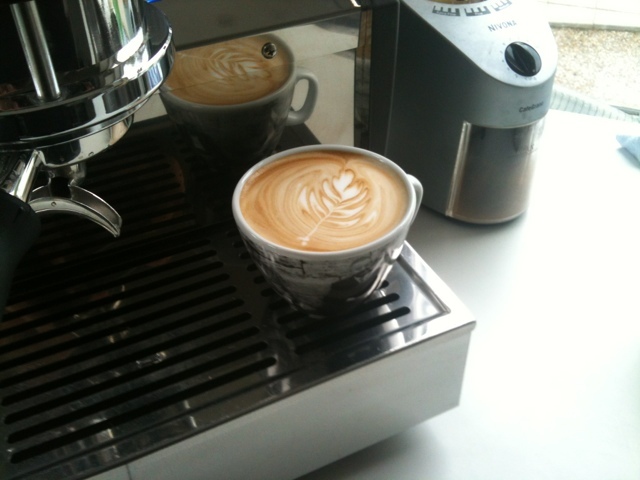 What I am sure of is that steaming improved instantly and I had the nicest micro foam in my first attempt. It was like night and day! The improved steaming capability could also be contributed to the 4-hole steam tip which seems a lot better than the stock 3-hole my machine came with.